2018 Earth Day is this Sunday, April 22. The theme for this year’s Earth Day focuses on ending plastic pollution. Single-use plastic is believed to be the biggest source of trash in and around water worldwide. We use plastic everyday- plastic bags, toothbrushes, water bottles, product packaging. It’s hard to go a day without plastic,” says Ellsworth Buck, Vice President of GreatFlorida Insurance, Florida’s leading independent boat insurance agency. According to the website, Earthday.org, plastic poisons and injures marine life, disrupts human hormones, litters beaches and landscapes and clogs our waste streams and landfills. The movement is hoping to inspire and inform people into changing their attitude about plastics. So, what can one person do to make a difference? Below is a list of suggestions to help you reduce the use of plastic. Carry your own reusable shopping bags to the store. Stop buying bottled water, carry a reusable water bottle. Use a refillable mug at the coffee shop, you can even get a discount for it. Checking your packaging. When possible, choose paper packaging over plastic, such as a box for pasta rather than a plastic bag. Trade in your disposable razor for one you that you only must switch out the blade. Change up your food storage. Instead of using plastic baggies or plastic wrap, try mason jars, bento boxes or glass containers. 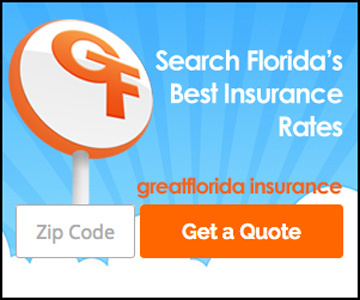 “Doing something is better that do nothing,” reminds Ellsworth Buck, Vice President of GreatFlorida Insurance, Florida’s largest independent boat insurance agency. If we all try and make one or two changes to our plastic use, collectively, we can make a difference. Consumer choice speaks loudly.